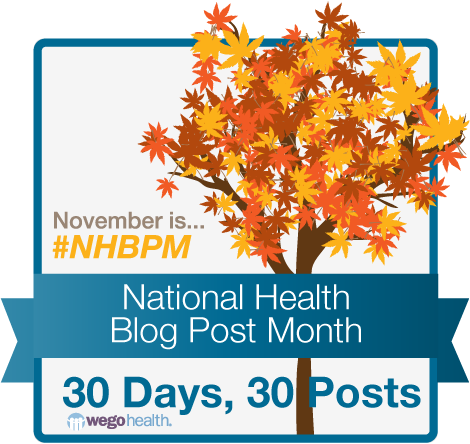 Today's National Health Blog Post Month prompt is: Advice for dealing with negative feedback in your community. 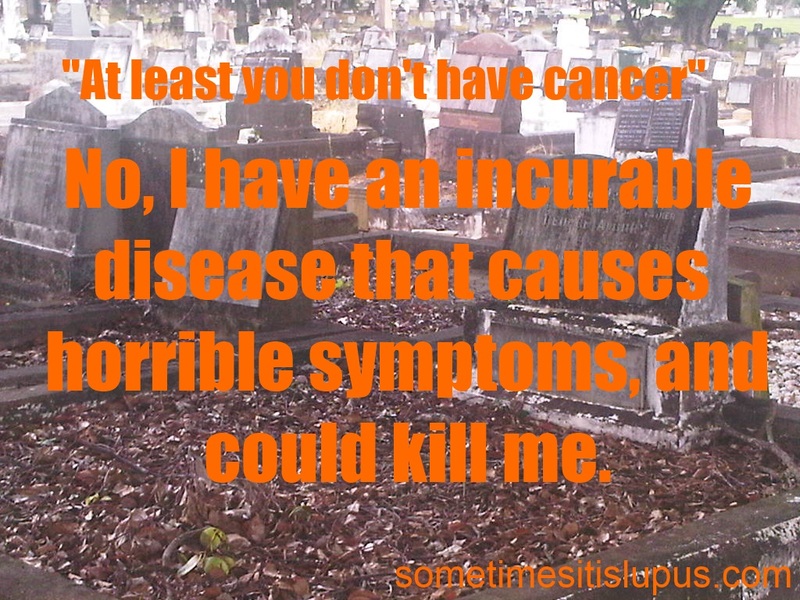 The kinds of criticism I've found tend to be along the lines of "You're complaining about nothing, there's people with really bad things out there like cancer." For me, there's two options. The first is to use it as an opportunity for awareness-raising. Actually take on the issue, publicly. The person who made the negative comment may not be particularly interested in learning that they are wrong, but other people may actually become more aware of the reality. And for people who have lupus, these kinds of criticisms are so common that the response allows an opportunity talk about how they feel about having their suffering discounted so much. 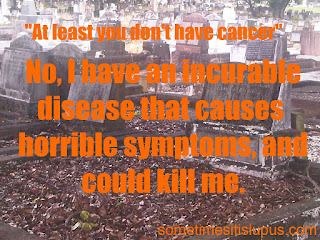 Here's two posts I've done specifically in response to criticisms: Just Seeking Attention and "At Least You Don't Have Cancer". I did the posts, not so much to engage the particular people who had made the criticisms, but to explore the attitude many people who don't know the reality of lupus have towards lupus patients. The second option, is the one I actually use most often. On-line trolls are like school yard bullies. Bullies get what they're looking for if they upset us or make us angry. Usually, I simply block them, or don't publish their comments on the blog. (That's why all comments you post go to me to be moderated before publication - so that I can weed out the trolls. When I did allow a critical comment through, I found from the responses it received that it was readers with lupus, rather than me, who were most hurt by the criticism.) Letting them through occasionally allows readers the chance to vent about all the times they've had that kind of inconsiderate thing said to them, but letting it through too often would be too hurtful. 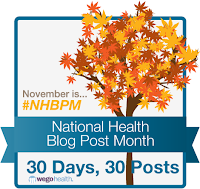 This post written as part of Wego Health's National Health Blog Post Month challenge. Are you aware of any links that should go on the Lupus Links page or businesses which ought to be listed in the Lupus Business Directory? If so, please email me the details. I don't charge for listing in either. My hope is that both will grow into useful resources. If Wego Health has choosen this topic, it means that trolling is unfortunately an usual problem on activist's blog ;-(.